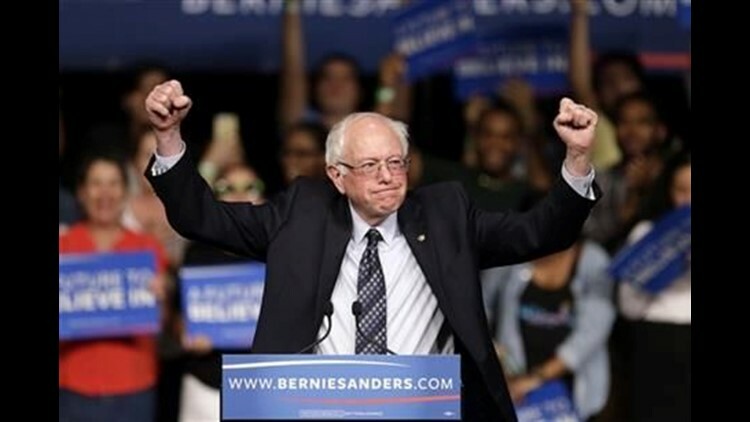 LANSING, Mich. (AP) — Bernie Sanders breathed new life into his longshot White House bid with a crucial win in Michigan's primary Tuesday night, chipping away at Hillary Clinton's dominance in the Democratic presidential race. Even with Sanders' win, Clinton and Trump moved closer to a general election face-off. Clinton breezed to an easy victory in Mississippi, propelled by overwhelming support from black voters, and she now has more than half the delegates she needs to clinch the Democratic nomination. Trump, too, padded his lead over Texas Sen. Ted Cruz, his closest rival. Sanders said Michigan signaled "that we are a national campaign."